Tyler and Cheryl Bradley stand at my two flanks. She’s calmed down by now, and he’s fully surrendered to my authority. Neither, however, believe that they’re standing in front of a house right now. I can see it plain as day. The grayish hue, the bay windows in one of the rooms upstairs. The perfectly trimmed hedges, evenly spaced along a cedar mulchway. The purplish door, that actually isn’t a door at the moment...because it is ajar. “I am, yes,” I reply. “And so are you. Here, take a look at this.” I step up to to the patio and wait for their reactions. The other two look at each other, then semi-simultaneously claim that they don’t. I frustratingly walk in the house, showing a level of confidence against any invisible people who may be living in their invisible house. I don’t have time to check whether anyone else is in here, though, because I’m trying to prove a point. I grab the door and move it to a crack, so I can still hear the people I’m talking to, but they should no longer be able to see me. “How about now?” I ask, with a raised voice. “No, I’m not!” Then I hear a noise behind me, so I release my gun and lift it up in defense. “What is it?” Cheryl asks. “Go back home,” I order. The house is the cleanest I’ve ever seen. 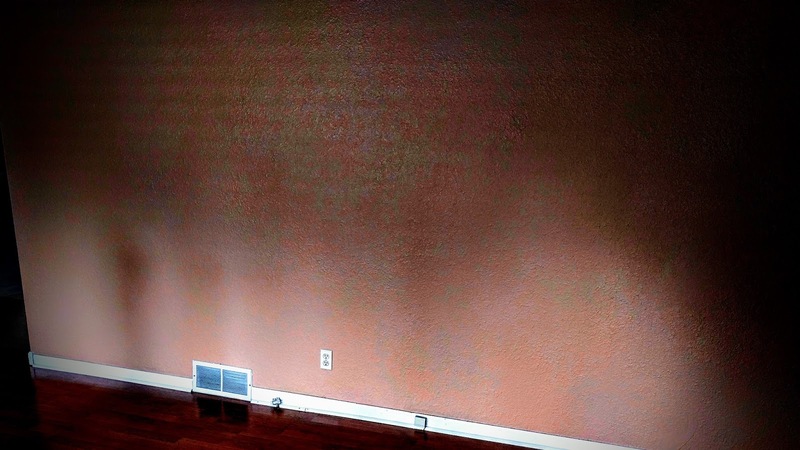 I’ve been in empty houses that people were trying to sell before, but they’re never perfect. There doesn’t appear to be so much as one speck of dust, on any surface. It’s not like someone cleaned it extremely thoroughly...but more like it’s impossible to bemire in the first place. The noise continues from upstairs. I need to clear this level first, so I walk around, but keep my head on a swivel. I walk through the front parlor. As with everywhere else, apparently, nothing is in it. There is a mural of purple roses over the fireplace, though, which is an unusual spot of color in this otherwise muted building. I pass into the kitchen, and open a few cabinets and drawers to get a clear picture of what this place might be. Empty, but just as clean as the floors and walls. There’s no refrigerator, and no space for a range or dishwasher. It’s a pretty modern house, so why would they build it without the ability to install basic first world appliances? I cross back into the foyer, and start walking underneath the staircase, into what would probably be used as a study, maybe the dining room. It’s a little warmer in here than anywhere else. It’s only then that I notice something strange. I quickly walk back and forth, but no, I’m not mistaken. There is no backdoor; just a wall. What kind of suburban home isn't built with a backdoor? Then I notice something odd about the wall itself. It has this shimmery glow to it. Maybe light from an opposite window is dancing on it, but it doesn’t seem to alter as I move. I should be blocking some of that light, unless, that is, it’s not from the opposite side at all. The noise from upstairs gets loud, but I still can’t place what it might be. I ignore the wall for now and continue my walk around the perimeter; all the way through the study, into the living room. I can tell it’s the living room, because there is what’s obviously a television stand on one side. It’s the only piece of furniture I’ve seen thus far. I ignore this too, however, and head for the stairs. I notice that the couple is still standing in front of a house they can’t see. They can probably still see me, and must be so incredibly confused. What does it look like to them as I’m holding my gun out, walking up to the sky, step by step? Do they see me hovering in the air, or do I just look like a crazy person who keeps lifting his legs, but going nowhere? Maybe I am crazy. Maybe none of this is really happening. Maybe I never woke up this morning. But if I’m crazy, and I’m also out here right now, in the real world, then I’m not the only one. Tyler still thinks their son exists, and is missing, and Cheryl still doesn’t. Maybe we’re all crazy, and maybe I should have never moved from Kansas City. As soon as I step up to the top landing, the noise stops, but that’s okay. I can tell where it was. I make cursory glances into the other rooms before walking into the right one. There’s nothing in here either, which is normal for this house, but I had hoped to find something. I had hoped there would be some clue that I could follow. If Escher Bradley isn’t in here, and nor is anything else but a TV stand and a mural, then what am I supposed to do? I check the closet, sure that I would find nothing of significance, but I do. It’s not a closet at all, but an elevator. Or maybe a dumbwaiter. It’s kind of small for the former, but large for the latter. It’s the only soiled part in the whole house. It’s made of metal bars, with painting chipping off, that show the barren rotting wood wall behind it. The floor is grated, but with hexagonal holes, instead of squarish ones. It’s far too dark for me to see below. But if there’s one thing I know for sure, it’s that there is no way it goes all the way down to the first floor. I would have seen it. The access should be against the corner of the study, but nothing is there. In fact, if there were something there, it would have blocked the entrance to the room. No, this isn’t an elevator, or a dumbwaiter. It’s just a prop. It has to be. Yet this is where the investigation is taking me, so I step in, and press the one button. The accordion door closes, and I start moving. But instead of going down, I go up. Okay, I guess I haven’t checked the attic, so I guess that’s what the explanation for it is. Or maybe not, because I don’t ever reach it. I just keep seeing walls and steel beams slowly falling downwards as I continue. The elevator never stops, and I never see any other rooms. It occurs to me that I’m the only one who could even see the house. But perhaps there were parts of it that even I couldn’t see. Perhaps it isn’t a house at all, but that’s just the first obstacle. The government (or aliens) could have built this as a security defense. You can only get into the house if you can see it. And you can only get to the top floors if you can see the elevator. I don’t know. What even the hell is going on? How far up am I going? Finally, after about a half hour of this, the elevator stops. It looks all too familiar, though. I know that I kept moving, and that I was going ever upwards. Barring any crazy jedi mind trick, or a hologram, I should have gone at least a hundred floors, but I haven’t. I haven’t gone anywhere. This is the exact same room I started on. Goddammit. The accordion is stuck closed, so I just break it to get out of this wretched machine. I slam the door behind me and leave the room. I hop back downstairs and leave the house. The lead is here. If Escher disappeared, it has something to do with this impossible house. But I don’t know what it is. I can’t figure this out. So I’m just going to leave. I’m going to get in my car, drive back to the station, and ask for help. I have to find someone who sees what I see. I need someone I can talk this through with, or I’m just going to go in circles, just like that stupid elevator. They don’t answer. But they are moving, ever so slightly. So they’re not quite frozen. Either they’re in a slower time, or I’m in a faster one. I try to touch Cheryl’s shoulder, but can’t. My hand just passes right through her. I’m not really here. Maybe I’m dead, maybe I’m not. But I am not here. I’m in some other world, and it’s just that I can see the real world. I start jogging back up to the house, desperate to get back to the elevator, but then I stop. I have to stay until I find Escher. Though each of the couple believes conflicting things about the boy, two things I don’t doubt is that Escher Bradley exists...and that he’s somewhere here.